In 2011, the state legislature authorized generous tax credits for donors to Scholarship Granting Organizations (SGOs), like the Opportunity Scholarship Fund (OSF). Tax credits directly reduce the state taxes you pay on a dollar-for-dollar basis. Any individual, family, or business paying taxes in Oklahoma is eligible to contribute to the fund and receive tax credits. All donors making a single year donation are eligible for Oklahoma tax credits of 50% of the allowable donation amount. The amount of tax credits may not exceed $1,000 for individual filers, $2,000 for those filing jointly, and $100,000 for businesses. Donors who pledge to give the same amount over TWO years will receive a 75% credit for BOTH years. The annual tax credit limitations apply. "I know that OSF works from firsthand experience. When I completed my taxes, I owed the state more than usual, until I reminded my accountant that I had given to OSF. I ended up getting a refund instead!" Visit osfkids.org for more information or call CHA at 672-1787 or email osf@cha.org. 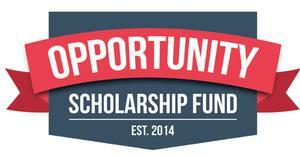 If you're ready to start your OSF application, please complete the form and return it to Christian Heritage Academy. Christian Heritage Academy admits students of any race, color, national and ethnic origin to all the rights, privileges, programs, and activities generally accorded or made available to students at the school. It does not discriminate on the basis of race, color, national and ethnic origin, or disability in administration of its educational policies, admissions policies, and athletic and other school-administered programs.